Emerging digitalization is becoming highlighting factor for deployment of modernized equipments and technologies in energy sector. Loss of revenue due to defects in grid and energy distribution and metering is creating huge business opportunities for smart grid component manufacturers, installers and service providers. Rising power generation sector and swelled energy consumption is awakening the need of smart grids across the globe. Transmission and distribution (T&D) equipment, smart grid information communications technologies (ICT), and energy storage are three sub sectors for smart grid products and services. According to Goldstein Research, smart grids have potential to save energy worth over USD 40.1 billion in one year. Automation and smart technologies is enhancing the market for information communication technologies (ICT) and deployment of smart meters that helps in increasing the efficiency of power grids. Smart meter is the major innovation which is proved as an efficient tool for energy conservation. Nearly, USD 14.0 billion was invested in smart meters deployment across the globe in 2016. Over 40% of Americans are using smart meters at their homes. Smart grids are using new technologies to manage the power generation and distribution and reducing the carbon emissions. More than 60% of world’s population is expected to live in cities by the end of 2024 which is supporting the need for smart network distribution. Rising urbanization is also one of the key factors which are propelling the market for smart grid. Deployment of renewable energy i.e. solar and wind is surpassing the other power sources but interconnection of these power sources is a challenge for energy sector. Smart grids are embracing the utilities sector by maintaining grid infrastructure efficiently and increased power generation. Rising penetration of renewable power source is boosting the demand for energy storage and its solutions. Globally, nearly 700 MW energy storage project were commissioned in 2016 and over 700 grid-scale energy storage projects were recorded in 2012. Frequency of regulations and policies in countries such as the U.K., United States and Korea is driving the demand for deployment of energy storage projects. United States and Canada is expected to generate 45% of total energy storage revenue by the end of 2024 which is likely to strengthen the smart grid market in North America region. Traditional power grids were incapable of supporting integration of renewable energy. In September 2012, ABB announced to introduce world’s first completely integrated solar power generation plant regulator and smart grid. Rising demand for efficiency and energy conservation is increasing the funding for smart grid and energy efficiency sector. In 2015, total funding for smart grid was valued nearly USD 400 million and for energy efficiency the funding raised over USD 800 million. Global smart grid market is anticipated to reach a value from USD 32.4 Billion in 2015 to USD 86.6 billion by the end of 2024, at a CAGR of 13.15% over the forecast period i.e. 2016-2024. Adoption of smart grid technology in developed nations such as U.S., Germany, Japan, Australia and others are up surging the growth of global smart grid market. Geographically, North America region is the dominating region in global smart grid market and expected to maintain its dominance by generating a market share of more than 35% by the end of 2024. In 2012, United States invested USD 4.3 billion in smart grid projects. In 2012, over 35 million smart meters were installed in American households. The United States generates 20% of power from nuclear energy whereas coal contributes 46% of power and renewable power sources such as wind and solar generates nearly 5% of power. Europe is expected to showcase a stagnant growth of smart grid market due to currency devaluation and economic crisis. Europe smart grid market is projected to grow at CAGR of 8.21% during the forecast period of 2016-2024. Countries such as Germany, the U.K., France and Italy are expected to provide significant contribution in smart grid market. 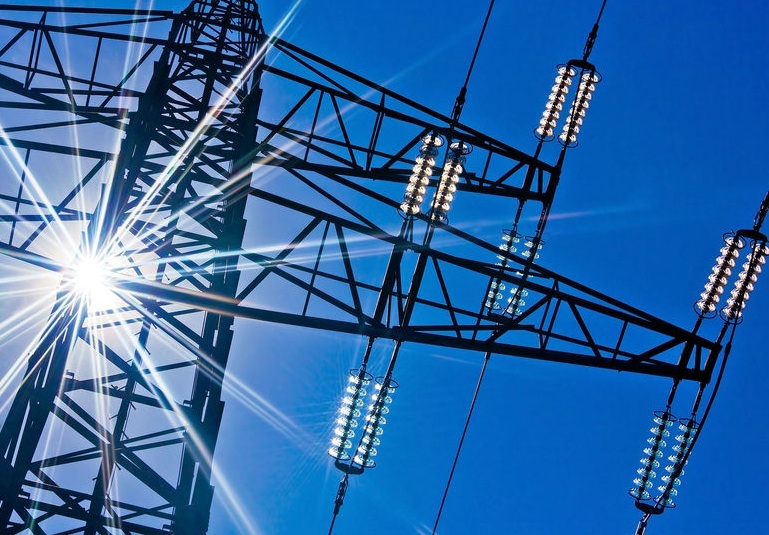 Shipments and deployment of smart meters in Germany, France and the U.K. is bolstering the demand for smart grid solutions in European Union. Europe has invested nearly USD 2.0 billion in smart network management and smart homes in 2015. Germany is the leading country in developing smart grid projects followed by France and Denmark However, smart metering still experiencing less investments across Europe. Asia-Pacific region is expected to dominate the global market of smart grid. Rising R&D investments in energy sector and government policies to utilize energy resources in countries such as China, India, Japan and Korea are fostering the demand for smart grids in the region. The number of smart meters recorded in China is nearly doubled the households in United States. In 2013, China and United states were accounted for over 50% of global smart grid investment. In 2016, as per International Trade Administration (ITA), India ranked 4th in global ranking of smart grid followed by Australia, Korea and Japan. China is planning to invest nearly USD 600 billion in transmission infrastructure out of which USD 100 billion will be invested for smart grid technology by the end of 2020. Latin America region is expected to experience significant growth in smart grid market due to rising automation in utilities and manufacturing sector. Latin America has invested USD 400 million in smart grid technology in 2012. In 2016, Mexico ranked first in global smart grid ranking and transmission and distribution (T&D) equipment given by the International Trade Administration (ITA). However, Brazil invested USD 240 million in 2010 and is expected to increase the investment in smart grid technology. Rising investment for the adoption of smart grid technology further opens the door for global smart grid business players to explore growing regions. Emerging technologies are considered as a major driving factor for smart grid. Smart grid is capturing telecommunication and energy sector and witnessing significant investment in smart grid technologies and solutions. Optimized distribution of generated power is increasing the efficiency of power grid. Deployment of advanced sensors and two way communication networks is helping in remote monitoring and multiple supports for renewable power sources. Smart meter is drastically changing the market for smart grid by efficient monitoring of energy consumption. Distribution of power without any external disturbance is also increasing the demand for smart grid distribution network. Political and environmental factors are rapidly driving the demand for smart grids. Smart grid can reduce 25% air pollution in energy sector. Countries such as United States and India have major power generation from coal. This is a major opportunity for key players to implement the smart grid technology in renewable power sources which will reduce the environmental pollution and enhance the sustainable development. However, security is the major concern in acceptance of smart grid across the globe. In 2016, over 60% of cases were recorded for cybercrime occurred in energy sector. In 2015, U.S. power grid was hacked. This privacy issue related with protection of energy and data is restricting the smart grid market. Present grid infrastructure is inefficient thus huge investment is required to build up secure smart grid network. Also, grid operation activities such as monitoring and controlling require large initial spending. These are some of the major factors which are prohibiting the acceptance of smart grid across the globe. Lack of awareness and government funding is a key challenge restraining the growth of global smart grid market. This is creating a new business opportunities for key players of smart grid to introduce smart grid cyber security solutions.